So if you are an honest guy buy or rent a house in the USA to get a billing address, contact a US bank to get a credit card accepted by Apple and then download the free app you were looking for from the US App Store. This casts a poor light on an internationally acting company. There are some workarounds to get a US Apple ID with faked personal data. 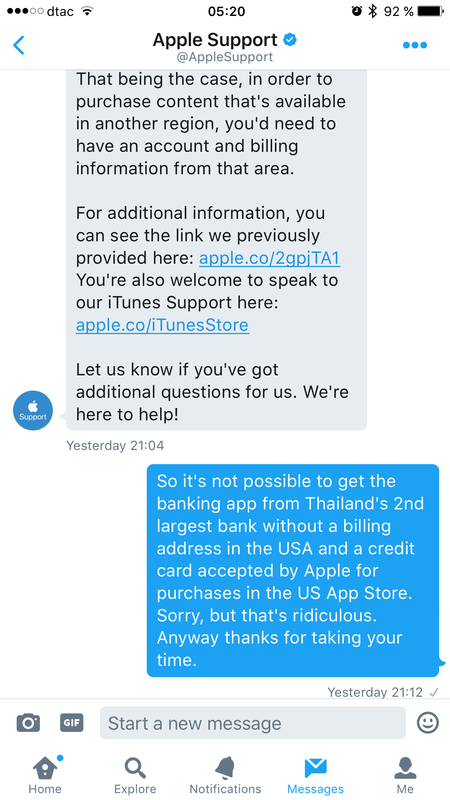 Apple Support on Twitter clearly stated that this is against Apple’s ToS. With your non-US credit card you can pay everywhere in the world but not necessarily in Apple’s App Store. Previous Post Apple, a global player?